Clamp On Cup Holder - Moar Stuff - You don't need it but you know you want it. $10.97 $20.00	Get Your Stuff! 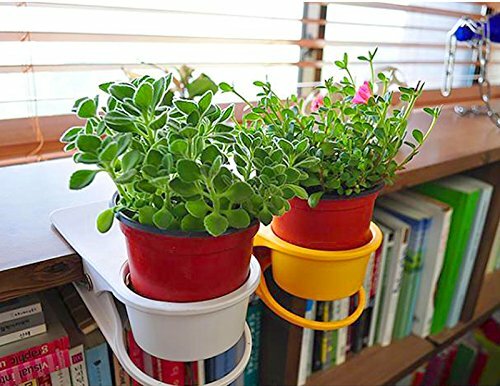 [TIPS] Tightly attaches to tabletop or desk up to 1.6-inch thick & works best on thicker complanate surfaces. [TIPS] Fits a cup up to 3.0-inch in diameter. IT IS A SMART WAY to contain your cold drink,mobile phone,cosmetics,stationery,flower pot,USB & memory cards,cold beer,small things that are scattered on your desk. 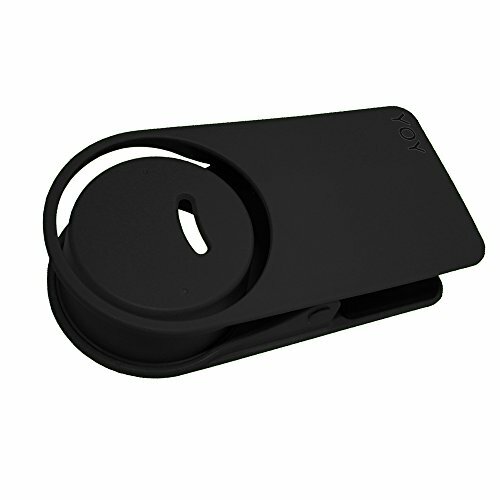 Heavy duty,strong grip spring.Clamps tightly to deskside,save your desk space. Why is it that every office has a coffee machine but there are no cup holders anywhere? I’m serious. Just about everything else in the world has a damn cup holder but, in the place where just about everyone is walking around with a coffee or soda, there’s nothing? Well, this Clamp On Cup Holder, solves that problem. While you might be thinking, “meh, who cares, I can just put my cup on my desk.” I’d like you think about spills. Don’t lie, I know you’ve spilled soda or coffee at some point, right? Now think about spilling coffee right on top of your brand new laptop or phone. How about that draft report the boss wants for his meeting in 10 minutes? Yeah, I can see you shuddering from here. 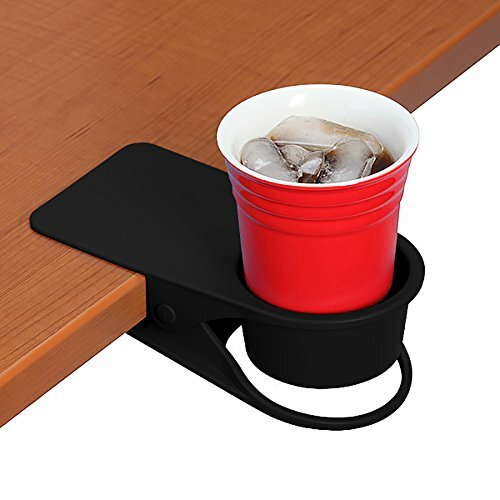 This cup holder is made from sturdy plastic and uses a strong spring to clamp onto the edge of your desk or table. By keeping your cup at the edge of your desk, it makes sure that spills will become a rarity and that if they do happen, the offending liquid won’t end up on your desk. In this case, the floor is a much more preferable option. So, it comes down to this; not only does this thing free up some desk space, it might just save your job. 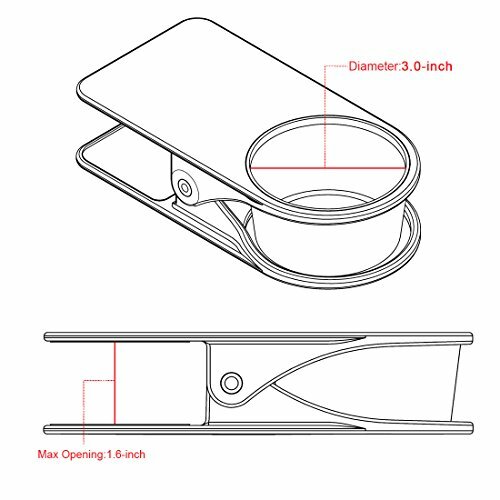 Dimensions: 7.9 x 3.9 x 3.2 inches. 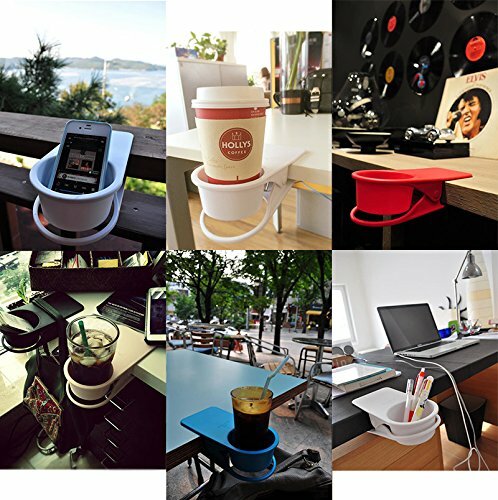 Save the space with your desk,attaching to any desk,tabletop or shelf. 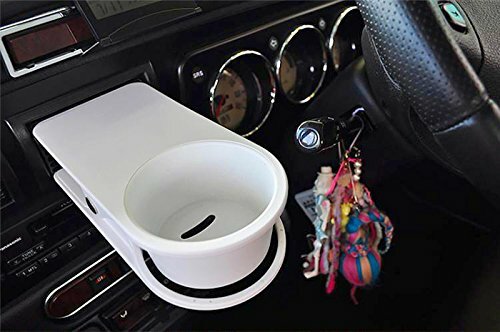 Not only for drink cup even for phone or other little items.